Facebook has officially launched Messenger for Kids Android version. The app was first launched for Amazon Fire tablets and iOS, but now it's available for Android. 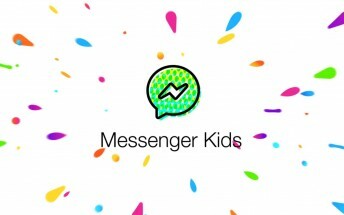 Facebook Messenger kids as the name implies, is designed for kids at the age range of 6 to 12. The app got some features missing like in-app purchases and Hide options so that parents can have more control over any unsolicited messages. The app doesn't require a Facebook account to work, it doesn't ask for phone numbers either. Parents can use their profiles to verify the Kids account and can also check up what is going on through the regular Messenger app. The parent or guardian who verified a kid will get notified anytime a kid block a contact and report inappropriate content in the app. Hmm...nice one, children's safety online need to be taken seriously and I like this measures being taken by Facebook.